Some people who don’t have direct experience with migraines may confuse them with a headache. What are the key differences between a migraine vs. headache, and how can you tell the two apart? If you’re experiencing head pain, of any kind, it’s important to understand the type of headache you have. That way, you can seek the best and most appropriate treatment plan. When it comes to migraine vs. headache, there are six major aspects that can help you identify which one you’re suffering from. Migraines are typically more intense and debilitating, with moderate to severe pain. They also last much much longer, and you’ll typically feel them in one side of the head. Further, migraines often occur with additional symptoms, like fatigue, nausea, and light/noise sensitivity. Let’s take a look at these in more detail to better understand the differences between migraine vs. headache. Migraines are an extreme form of headache that affect 36 million people in the U.S., 14 million of whom suffer from daily migraine pain. Migraines are a form of headache, but they’re usually separated due to their severity. However, they’re not simply a severe headache. They come with their own symptoms. Individuals suffering from migraine headaches often can’t sit upright and need to be in a dark, cool space until the pain subsides. The environment or the food you eat or stress can trigger a migraine. Cluster headaches are a type of head pain that occurs in the exact same spot around the same time of day during a specific time of year. Tearing from the eye when the pain is occurring is also possible. Food and emotions do not trigger cluster headaches. Instead they are caused by dilations in the blood vessels of the brain due to a release of serotonin and histamines. They can be caused by physical exertion, bright lights, or even altitude. You’ll feel tension headaches just behind the eyes, in the face and neck, and at the base of the skull. It may be the most common form of headache pain. Eyestrain, stress, and hunger are the most common causes of tension headaches. They can be chronic or reoccurring in nature. Most often, you can treat them with over-the-counter NSAID medications. Secondary headaches are symptoms related to primary conditions. For example, headaches that appear in patients diagnosed with brain tumors are likely to have headache pain related to the cancer, though the headache itself is not the primary source of pain. The causes of secondary headaches are numerous and need to be addressed by your pain specialist. The following video gives a brief overview of the science behind headaches. While both headache and migraine feature pain, the intensity level of a migraine headache is much higher than that of a regular headache. Pain feels as if it is coming from inside the skull and is often accompanied by throbbing in the temples or pain behind the eyes. Tension and cluster headaches typically resolve within a few hours. Migraine pain can last for days at a time. Photosensitivity: Light is unbearable and increases the pain. Environmental sensitivity: Just as with light, sounds and smells in the environment can intensify pain. Dizziness: A migraine can feel very disorienting, both mentally and physically. Nausea: Whether due to dizziness or prompted by photosensitivity, nausea and vomiting often accompany migraine pain. Extreme fatigue: Migraine pain can make it impossible to sleep, and lack of sleep can intensify migraine symptoms. Location: Migraine pain is usually felt on one side of the head or the other. Phase 1: The prodromal phase serves as a warning that pain is imminent. Migraine sufferers may experience mood swings, lethargy, and an increased need to use the bathroom. Phase 2: Aura is not present for everyone who suffers from migraine. An aura can include a glow around figures and shapes or wavy lines. This is a neurological event that can occur 20 to 60 minutes before pain. Phase 3: The attack phase is when pain hits. Phase 4: The final phase is the postdromal phase when the pain has subsided. Sufferers may be exhausted but may also feel mildly elated. The following video gives a greater overview of these migraine phases. Tension and cluster headaches in general can have easily traceable causes. Tension headaches may be caused by additional stress or lack of sleep. Cluster headaches may be a result of dehydration. Migraine headaches have common triggers but are a neurological condition with no one cause. A person who has migraine headaches may find that certain factors, like foods or scents, trigger their pain. A study published in the November 25, 2013 edition of the online journal Cephalalgia connected allergies and migraine headaches for the first time. Allergies, also called allergic rhinitis, are a condition that causes irritation and inflammation in the body. Because migraines are also associated with inflammation of the blood vessels, it makes sense that one might exacerbate (or trigger) the other. People with family members suffering from migraine are more likely to develop migraine themselves, and scientists at the University of California, San Francisco have found a genetic mutation that is common in those with the most typical type of migraine. The research team, led by a Howard Hughes Medical Institute investigator, found a mutation in the gene casein kinase I delta (CKIdelta). Researchers studied two families in which migraine was common. They discovered the genetic mutation, then recreated that mutation in laboratory mice. Another larger study of 11,000 migraine sufferers found other genetic links to migraine without aura. While the science continues to develop, it is clear that family history is a powerful cause of migraine vs. headache, with 80% of migraine sufferers having at least one family member who also has migraines. Nerve fibers are surrounded by a protective coating called the myelin sheath. This prevents nerves from being overly stimulated at any given time, but when this sheath is damaged, migraines could result. Changes in weather: A falling or rising barometer can affect the pressure in the head, thus triggering a migraine. Stress: Stress over a long period of time can trigger a migraine, particularly immediately after a stressful time when the level of cortisol in the body drops. Food: Certain food preservatives or additives can trigger migraines, as can alcohol, sugar, and caffeine. Low blood sugar can also act as a trigger. Lack of sleep: Not enough sleep or sleep that is not restful is a common cause of migraine, a cycle that is perpetuated as migraines tend to make quality sleep elusive. Not all of these will trigger a migraine 100% of the time, but when a migraine starts, there are a few treatment options. Along with intensity and duration, this is where migraines vs. headaches truly part ways. A cluster or tension headache is typically easily resolved with over-the-counter remedies and a big glass of water. They are not pleasant, but they are not debilitating. Migraine pain, on the other hand, can interfere with a person’s life for several days at a time. Over-the-counter headache medicines don’t begin to even dull the edges of the pain. Treatment for migraine is a multi-pronged approach. Aim first at prevention before bringing in additional treatments. Treatments include getting plenty of rest in a dark room while in each migraine phase. Over-the-counter medicine, if administered at the very first sign of a migraine, coupled with rest, hydration, and relaxation, may head off a full-blown migraine. If these options do not work, doctors may prescribe medications that address pain as well as nausea and vomiting. Preventative prescription medicines can include beta blockers and antidepressants. However, you should only take more deliberate, interventional treatments like this if you suffer from four or more debilitating events per month. For migraine patients who do not respond to the above treatments, doctors may consider using temporary nerve blocks to see if that can identify the cause, making the block permanent if pain relief occurs. In some cases, the same techniques used in cosmetic eyelid surgery helped to permanently relieve migraine pain and may be an option. Complementary medicine can be very effective as well. Pain doctors may also recommend participating in biofeedback training to complement any traditional treatments offered. Biofeedback training can help migraine sufferers to regulate their body’s response, and acupuncture can work to calm the mind. Staying hydrated and resting in a dark room with a weighted eye pillow can sometimes offer relief. As with other medical research and treatment studies, there is some evidence that research and treatment for migraine is lagging because this is a condition that primarily affects women. This condition is the seventh most disabling condition in the world. It needs further study and treatment options if only for that. Regardless of whether or not the studying of migraine is influenced by gender bias, there is one basic truth. Migraines are not just headaches. If these techniques don’t work, it may be time to find a pain specialist in your area. 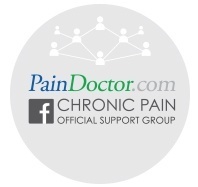 For more severe or chronic cases, a pain doctor can help you identify your symptoms. They can also diagnose the cause of your pain, deciding if you’re suffering from a migraine vs. headache. They can also provide options for treatments that work. Get started today by clicking the button below.